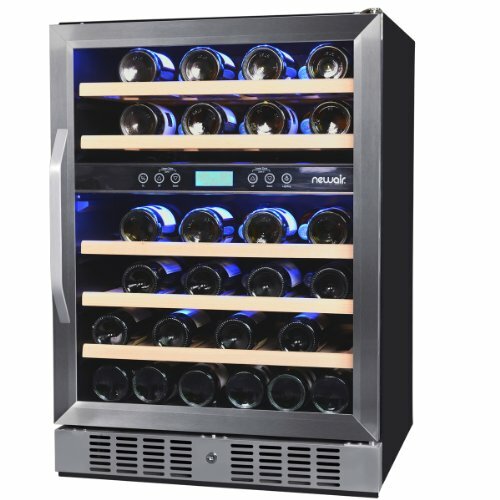 This model is no longer manufactured but it is very similar to other 16-bottle wine fridges (see selection on the left hand side) by Avanti so read our review to find out about its strengths and weaknesses. Display: blue LED, can be set to indicate temperature either in Fahrenheit or Celsius. 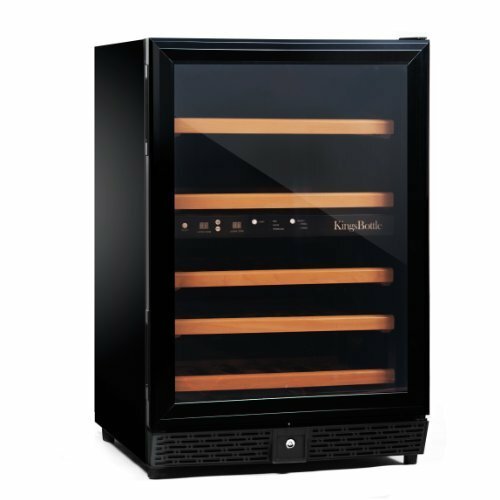 Press the POWER button for 3 seconds minimum to start your wine cellar. Press the SET button before setting the temperature. 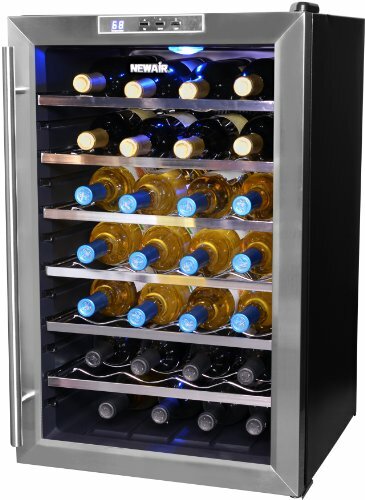 The wine chiller is equipped with an “automatic” control panel lock, that will activate 12 minutes after the last time a button has been touchedPress the UP and DOWN arrow buttons simultaneously for 3 seconds to unlock the control panel. You will hear a “BEEP” sound to alert you that the control is now active. Use the UP and Down buttons to set the wine cooelr to the desired temperature. After a power failure, control functions will be locked for up to 5 minutes. To reset, press the “ON” button and start operation as normal. After 5 minutes unit will automatically turn on and revert to the factory default setting. Interior Light: low-intensity LED lighting, You can turn the interior light ON or OFF by pushing the button marked with the “Light” symbol (after 10 minutes the lighting will automatically turn off). Price range: $100 – $150 ($6.25 – $9.38 per bottle). Warranty: 1 year parts and labor. Proof of original purchase date (receipt) is needed to obtain service under warranty. After owning the wine chiller for 4 months it quit working. I called Avanti customer service and had to leave a voice mail. After not receiving a response for several days I called again. This time I got a live person who transfered me to another extension where I had to leave a voice mail. I have called 4 times over a period of about 2 weeks and have never received a return call. My chiller would completely shut off, no lights or controls. After several hours it can on again, cooled down and they shut off. Pretty much worthless since the wine gets warm during the time it is off. I have never experienced a worse customer service. 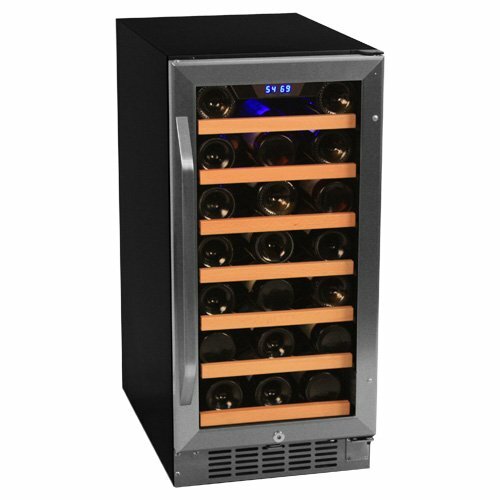 Go to Avanti Wine Cellars or Avanti Two-Zone Wine Refrigerators. 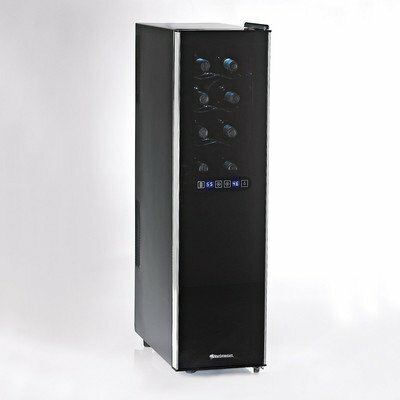 Read also a review on the Avanti EWC1201 12-Bottle Wine Cooler and the Avanti EWC1802DZ 18-bottle wine cooler. The owner of this website, http://www.winecoolerexpert.com/, is a participant in the Amazon Services LLC Associates Program, an affiliate advertising program designed to provide a means for sites to earn advertising fees by advertising and linking http://www.winecoolerexpert.com/Review to Amazon properties including, but not limited to, amazon.com, endless.com, myhabit.com, smallparts.com, or amazonwireless.com.